April showers bring May flowers but they don't give you too many opportunities to get outdoors and enjoy your neighborhood playground. 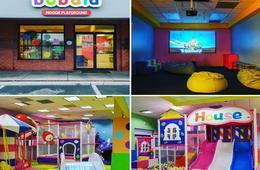 Indulge your child's need for PLAY with a trip to Bubala Indoor Playground! Grab this CertifiKID deal for 2 or 4 Open Play Passes (Weekday or Any Day options available) and head on over for some indoor FUN! Choose to use your pass on multiple visits or share with a friend or 2 or 3! Looking for a spot to host your child's next birthday party? Check out their 2-Hour Weekday Birthday party package HERE and leave the party planning and cleanup to the experts at Bubala Indoor Playground! $16 for 2 Open Play Passes - Valid Monday-Friday ONLY ($26 Value - 39% Off). $29 for 4 Open Play Passes - Valid Monday-Friday ONLY ($52 Value - 45% Off). $19 for 2 Open Play Passes - Valid ANY DAY ($26 Value - 27% Off). $38 for 4 Open Play Passes - Valid ANY DAY ($52 Value - 27% Off). 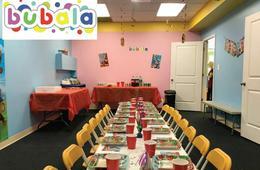 $199 for 2-Hour Weekday Birthday Party Package for Up to 10 Kids ($249 Value - 21% Off). For kids ages 7 and under. Not to be combined with any other discount or coupon. Passes are valid for all ages and valid for any two children during one visit, or one child over multiple visits. Signed waivers are required for each admission. Regular operating hours are Mon.-Thurs. & Sat-Sun: 10 a.m. - 6 p.m. Fridays: 10 a.m. - 5 p.m. Check Bubala's Facebook page HERE to confirm hours of operation. No outside food or drink permitted in the play area. Additional guests are $13 each, payable directly to Bubala Indoor Playground. Expiration reflects date by which Open Play Passes must be redeemed and Birthday parties must be held. Open Play Passes: Please present your voucher for entry, printed or on a smartphone. Weekday Birthday Parties: Reservations required and subject to availability. Please call 443-450-3998 to make your reservations.